In 2014, Guinea declared a national health emergency due to the outbreak of the Ebola virus disease. By early 2016, over 2,500 people had died and nearly 6,000 children had lost parental care due to the epidemic. The epidemic has had serious effects on the country's already fragile social and economic fabric. The Republic of Guinea is located on the Atlantic Coast of West Africa. Around 10.5 million people live in the country. The capital city of Conakry is home to around 1.8 million people. Guinea has suffered decades of political and social unrest, partly due to the instability of the countries that surround it. For example, many refugees have arrived in Guinea due to the conflicts in neighbouring Liberia, Sierra Leone and Ivory Coast. There are also internal tensions between different ethnic groups and political parties. The instability has resulted in difficult economic conditions. The country remains one of the poorest in the whole world: around 55.2 per cent of the population live in poverty. Guinea has some challenging health issues: life expectancy remains low at 53 years for men and 56 years for women; the infant and maternal mortality rates are among the highest in the region; and many young children die from preventable diseases such as polio, measles, malaria or yellow fever. The recent Ebola crisis highlighted the fragility of the health services: there weren’t enough doctors, nurses, beds or equipment to deal with the high number of people who became ill. As resources were spent on fighting the Ebola outbreak, less money was available for preventing and treating other medical conditions. People who have survived Ebola are often ostracised by their communities. Women are particularly affected by this lack of social support: they have often cared for the sick and are still seen as contagious. In addition, much of their economic activity relies on social contact, for example on trading or on meetings for cooperative financing. 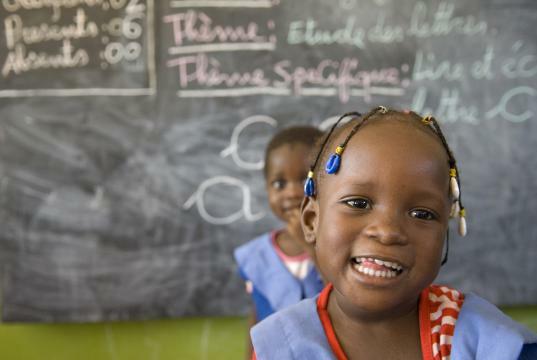 Guinea has one of the lowest literacy rates in the entire world: only one in three adults knows how to read and write. School enrolment figures are slowly improving but just 62 per cent finish primary. The lack of schools, shortage of teachers and the cost of school fees, uniforms and material means that many children drop out of school. 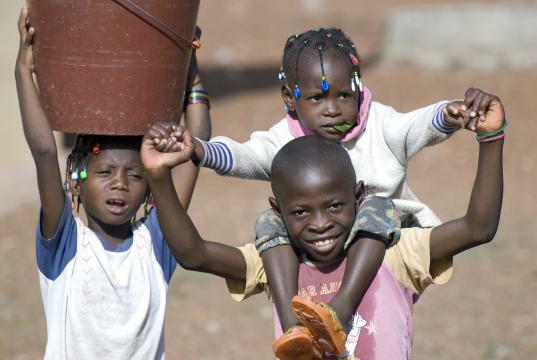 There are around 5.6 million children under the age of 18 in Guinea. Around 670,000 of these are growing up without their parents. An estimated 46,000 of these have lost parental care because of AIDS. Although the government has introduced measures to stop child labour, about 40 per cent of children are forced to work. Some are involved in dangerous activities such as agriculture and mining. Vulnerable families need support so that children can stay in school and not risk their lives working. Child malnutrition is a serious problem in Guinea; around 320,000 children under the age of five suffer from malnutrition which requires medical treatment. In most areas the Ebola epidemic worsened the situation as food prices rose and families weren't able to afford food. Strengthen Families: We work with local organisations and the community to support vulnerable families so that children can grow up within their own family. We ensure that families have access to food and medical care. We also give financial assistance so that children can go to school. Care in SOS families: If, in spite of all assistance, children cannot be taken care of by their own family, they can find a loving home in one of the three SOS Children's Villages in Guinea. Wherever possible, we work closely with the children’s family of origin, so that they can live together again. Whenever this happens we work towards supporting them during the period of change and adjustment. Education: We run three kindergartens in the country. Older children can attend one of our six schools, which offer primary and secondary education for up to 3,200 pupils. Support for young people: We provide young people with support, further education and training until they are able to live independently. Immediate response: In 2014 we provided food, hygiene kits, education material and psychosocial support in the most affected areas. We supported 401 households, which included 1,700 children. Helping families to rebuild their lives: We are currently working with other organisations and local leaders to help affected families recover from the devastating effects of Ebola. We will distribute essential food, provide hygiene support and access to free healthcare as well as offer psychosocial support. We will also carry out training on income-generating activities so that families can make a living in the future and become independent.